What is the Tramble App? The Tramble App contains hundreds of Tramble Codebreaking Walks in different areas of the UK. A Tramble is a self-guided, 60 to 90 minute walk where you have to solve 10 questions based on what you see. And at the end there is a code to break. 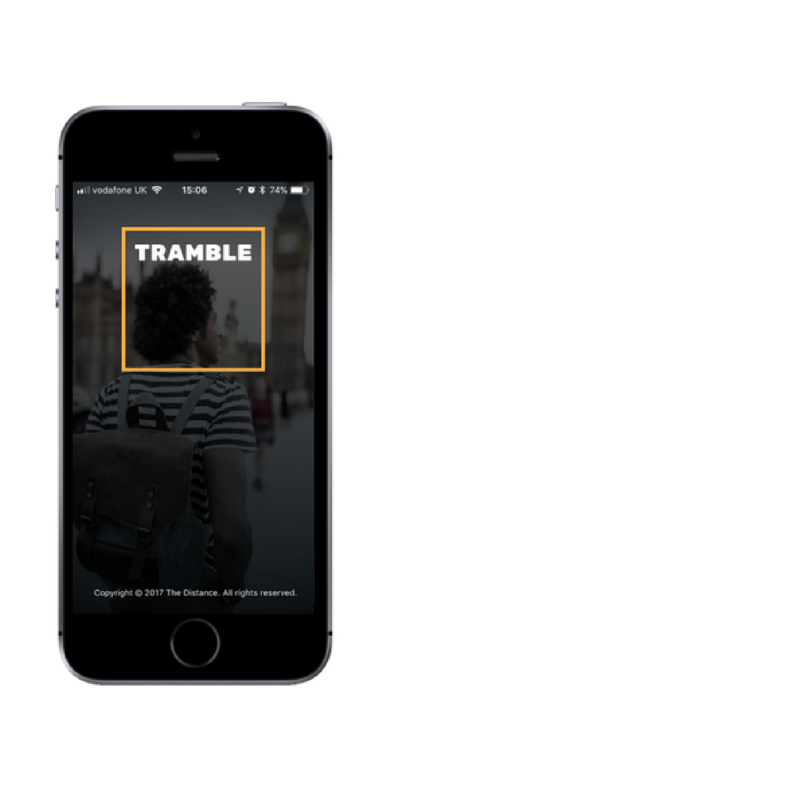 Download the Tramble App and get started today. Where can you do a Tramble? We are currently in London, Kent, Sussex, Hampshire, Dorset, Devon, Bath, Bristol, Cambridge, Oxford, Edinburgh, York, Glasgow, Surrey and Berkshire. Do you want us to expand into your home town quicker? Then just email us with where! Our Tramble Treasure Trail walks have been designed with the whole family in mind. Everyone from 6 upwards is more than able to participate. Some questions will be a little harder than others but you can also use the clue option to figure it out. How much does a Tramble cost? Each of our Trambles costs £3.99 to download and access via our mobile app. This is on both Android and Apple phones. If you are doing one of our offline Trambles you can download and print it off at home for £3.99 or have one sent to you in the post for £5.99. We have tried to make the Tramble walks as easy to use as possible. Download the place where you want to take on our treasure hunt by searching for the town or city in the search bar. Then start where it tells you to and follow the directions to the first question. Open the question and figure out the answer. If you can't try opening the clue and see if that helps. If you can't figure it out then skip onto the next one. Oh, and if you are ever lost, there is a convenient map view that should help you out! How much battery does the app use up? During testing, we have found that a Tramble uses between 15% and 35% of battery. This can change depending on conditions. For example, it is likely to take towards the top end in the cold. Just make sure you start with plenty of battery and it should be fine! Can I do it in different languages? Yes, you can. But only on our offline Trambles at the moment. We can send you Trambles in Spanish, French and German. Just make sure you request it when you order. Not really! If you have a 3G enabled iPad then it will work with the location services. If you do not, it won't work.